Leica PowerAntenna is the world’s first system that uses the same components for on- and off-machine applications. 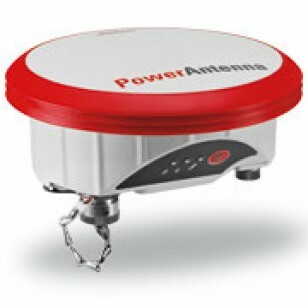 Combine it with the Leica PowerBox to boost productivity of your excavator with dual GNSS positions, move it on a pole for staking out or checking as-builts while the excavator continues in single GNSS operation, or use it as a base station that site personnel easily can set-up. The scalable design allows you tailor the system precisely to your needs. reference setup. On-machine via PowerBox.